George Baxter, Army Jeep Parts, Inc.
George Baxter is president of Army Jeep Parts, Inc. He purchased the company from David Uhrig in 1989. Army Jeep Parts, Inc. (AJP) is one of the oldest suppliers of parts and services for vintage military jeeps in the restoration and collector hobby today. David Uhrig and Howard Dunseth founded the company in Chillicothe, Ohio in 1973. In 1989, George Baxter purchased AJP and moved it to eastern Pennsylvania. Since then, the company has continued to grow and has established itself as one of the leaders in the hobby with a reputation based on quality parts and service. AJP makes every effort to only stock the best parts available and goes to great lengths to either find or manufacture them when needed. In 2006, AJP made the move to a new 17,000 sq. ft. facility in Levittown, Penn. They are one of the few dealers in the US to offer a full-service shop. While George and his team prefer to do partial restorations, no project is too small or too large. They rebuild and restore all major components in-house, with the exception of engines which that they farm out to a local shop. The whole AJP team prides itself in producing the highest-level rebuilds in the industry. George bought his first Jeep when just 12 years old. He has been MVPA member for more than 40 years and is Association’s Tech Advisor on MBs and GPWs. His own collection includes a 1941 MB slat grille, ‘45 MB, and an M100 trailer. 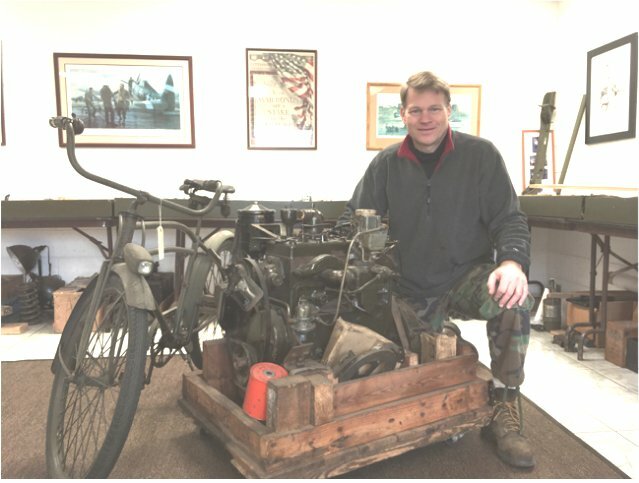 He wants collectors to know that AJP is not just about selling quality parts and services but is also a technical resource to aid in making your restoration project(s) go as smoothly as possible. AJP ships worldwide and has daily service with UPS, FedEx, and USPS. They are open Monday – Friday 9:00 to 5:00 and welcome visitors. Appointments are not required but recommended. In 2006, George moved the company into a 17,000 square-foot facility in Levittown, Pennsylvania.